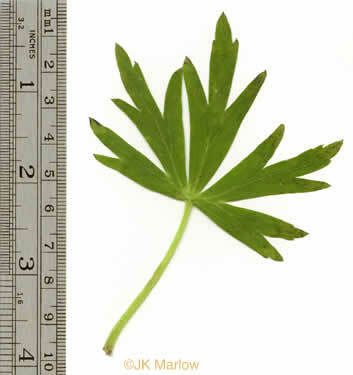 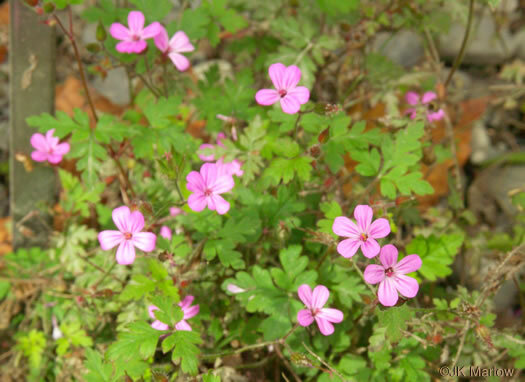 Your search found 8 image(s) of leaves of Geranium, Larkspur and Monkshood. 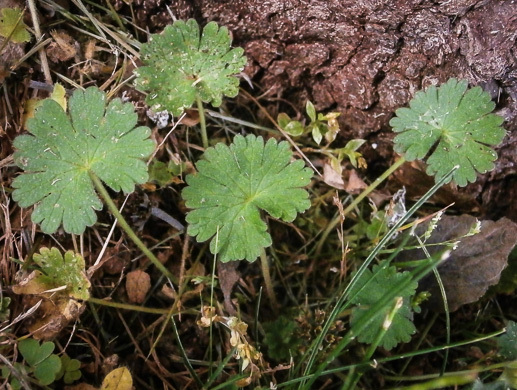 Leaves mostly at the base of the plant, deeply lobed into irregular segments, per Newcomb's Wildflower Guide. 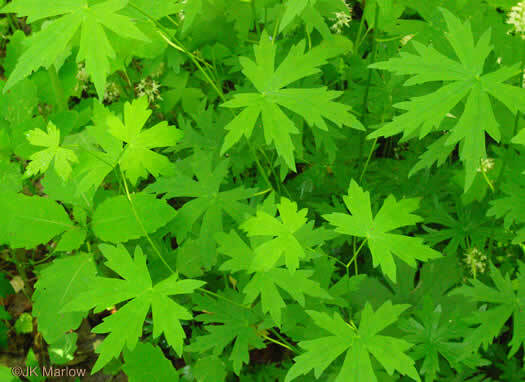 Leaves purplish-green, with 3-5 narrow lobes deeply toothed at the tips, per Wildflowers of Tennessee, the Ohio Valley, and the Southern Appalachians. 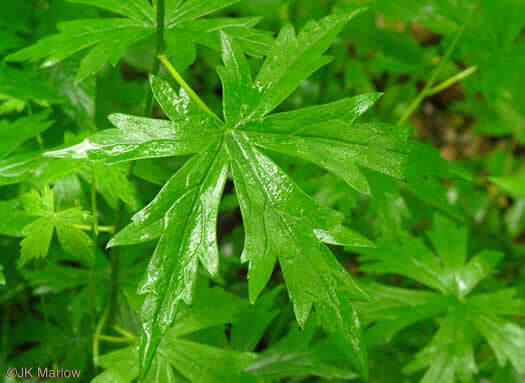 Leaves 5-7 cleft, the divisions again cleft into linear segments, per Vascular Flora of the Carolinas. 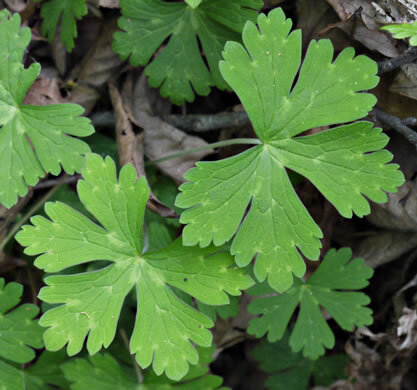 Leaves have 3 to 5 long linear-oblong lobes, deeply toothed at the tips, per Wildflowers of Tennessee. 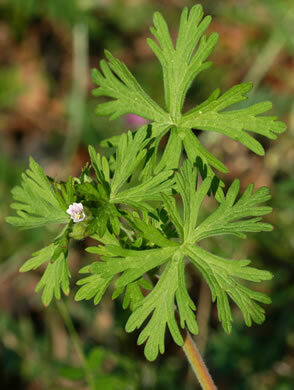 Long petioles appear attached to center of the nearly round basal leaves, per Wildflowers of Tennessee, the Ohio Valley, and the Southern Appalachians. 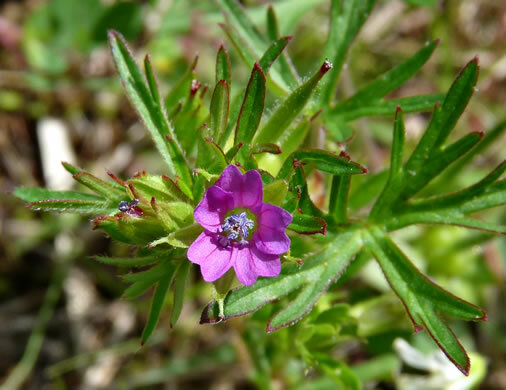 Leaves pinnately 3-5 lobed, deeply dissected, the end segment stalked, per Wildflowers of Tennessee, the Ohio Valley, and the Southern Appalachians.